John Gosden’s newcomer Foundation (2c Zoffany-Roystonea, by Polish Precedent) headed a double for outstanding first-season sire Zoffany on Friday evening. 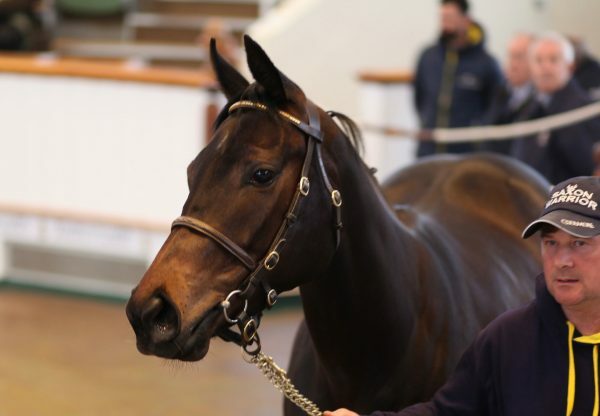 Sporting the colours of Highclere Thoroughbred Racing and a €190,000 yearling, Foundation cruised to a three and a half length success on his first racecourse start. The Eyrefield Lodge Stud-bred colt has several big-race entries including the G1 Dewhurst Stakes. At Tipperary on the same evening, Renzo Forni’s home-bred filly Dolce Strega (2f Zoffany-New Plays, by Oratorio) (pictured) scored easily.